After Two Months of Hell, Easy Way I Got Rid of Pityriasis Rosea Naturally in less than 2 weeks! Not going to bore anyone with the details but like many, I thought I had ringworm for two months and went through HELL, mental anguish, and MANY products trying to cure it without a doctor's visit (couldn't afford it). Long story short, I did more research and found what I had was Pityriasis Rosea. After I used these products and regime, it was gone in less than two weeks. You don't need ANY steroids or weird prescription medication for this. Just two products and a slight change in diet. This may work for ringworm sufferers too ( but I'm not 100%). 1.) 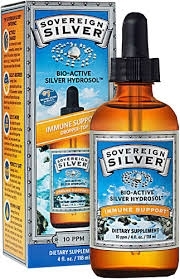 Take four droplets of the Sovereign Silver Colloidal Silver 10 PPM, 4x times a day. Or after every meal[/b]. It is liquid silver and a natural antibiotic and what people used to use before penicillin. It is 20x more powerful than pencilin or any over the counter medication I've ever taken and heals EVERYTHING. 2.) 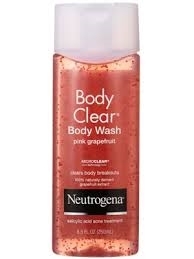 Take a shower everyday and wash with Neutrogena Bodyclear Pink Grapefruit Bodywash. It is a salicylic acid body wash and made to clear body acne. I figured it would work to burn off the rashes and other bacteria and it DID! After it cleared nearly all the rashes away, I stopped usage because it was starting to gave me tiny red bumps. Some strange side affect of long term salicylic acid. It went away after a day or two. Don't use it for too long. It's powerful stuff and made to used temporarily. 3.) Apply colloidial silver 10 pm in a spray bottle diluted with 50% water and spray it on your body after you come out of the shower and dry off. [/b] Let it dry on your body. I went on this natural diet eating mainly oven baked chicken, fish, beef, ground beef, tomato based sauces, brown rice, vegatables, fruits, etc. for three weeks while I cleared this out. Apparently Pityriasis Rosea feeds on starches, carbs, and sugar so I cut those out. It was HARD but it was necessary and WORKED. Your body just needs a detox from those things. Sitting out in the sun shirtless for 30 minutes WITHOUT sunblock. Just did this for one day and did NOT wash with the salicylic acid wash the day I did. This would have burned. For this day, use normal soap in the morning and after. I sit out in the sun because it's said pityriasis rosea is also caused by low vitamin d. So getting the most vitamin d by exposed skin from your chest and back for 15-30 minutes will help your immune system and elimination of the rashes. So after doing this regime, my Pityriasis Rosea was gone in less than two weeks!! I was so happy to not see those hideous rashes on my skin. Your body just needs a detox of crap. Keep up the diet and colloidial silver intake for at least two to three weeks AFTER the two weeks are up just to maintain your health. The rashes came back after I introduced pizza and bread back. So I had to keep up my diet and silver intake but now I'm happy to report I can eat whatever I want and it's fine! Hope I can help someone! Thanks for the info... My PR was unusual, it lasted over a year, but most people only have it for 6 to 12 weeks. As you stated, you had it for about 6 or 8 weeks before you started your regimen, so, for most people, that would mean teh PR was going away anyway?